When it comes to healthcare post SHTF, a few must have essential oils should be part of your preps, not only for health and first aid, but to replace those prescription meds so many take on a daily basis for chronic conditions. Essential oils are those vital plant essences produced by plants and acquired either through cold pressing (squeezing an orange peel) or by steam distillation. From Biblical times these plant essences have been used as perfume, medicine, for embalming and as part of worship. Why Include Essential Oils in Your Preps? You don’t have to be on any prepping group very long before the talk turns to the question of what to do about antibiotics and other types of prescription meds if or when a collapse occurs. A few ideas tossed around are fish antibiotics, herbal remedies, and the ways of acquiring enough prescription meds to store to maintain health in the future. Many of these questions have to do with those meds that so many have to take on a daily basis just to be able to have any type of quality of life, or to actually stay alive. Those meds that treat diabetes, high blood pressure, low blood pressure, atrial fibrillation, heart disease, chronic pain and other issues will quickly run out after a collapse. For some people, their life expectancy will be measured by the number of doses they have on hand when “it” hits the fan. Probably the safest oil to have, useful for adults, pregnant women and children, lavender essential oil is about the only essential oil that can be used “neat” (full-strength on the skin) with very little chance of complications. Uses include: Burns, anxiety, bug bites, eczema, sinus headaches, insomnia, rashes, lowers blood pressure, plus many more. Properties include: Analgesic, anticonvulsive, antidepressant, antiseptic, antispasmodic, antiviral, bactericide, carminative, decongestant, fungicide, hypotensive, nervine, restorative, sedative, plus more. Uses include: Colic, fatigue, congestion, coughs, to regulate the body temperature, diarrhea, bronchitis, flatulence, nausea, intestinal parasites, and indigestion; plus many more. Properties: Antiseptic, antispasmodic, carminative, digestive, diuretic, expectorant, stimulant, stomachic and tonic. Uses: prevent infection from common cuts and wounds, as well as acne, dry skin, skin lesions, dandruff, and skin ulcers. Treats herpes simplex virus, asthma, coughs, fevers, and to clear nasal passageways, relieve pain in joints and muscles, fever by lowering body temperature, as well as UTIs and cystitis. Uses: Digestion, circulation, headaches, sore throats, muscle aches, insect bites, toothaches, stomach cramps, gas, irritated colon, motion sickness, cold and flu symptoms such as upset stomach, diarrhea, fatigue, fever, cough, flatulence, vomiting, and migraines, plus more. Repels bees, mice, fleas and ants. So many uses would take a whole web site just to explore all the uses; a definite must have. An absolute must have if you are concerned about: anthrax bacillus, the typhoid bacillus, meningococcus, and the agent responsible for tuberculosis. It is also active against salmonella and staphylococcus bacteria, and strengthens immune defenses and white blood cell production, benefiting blood pressure, aids anemia, strengthening the heart, and cleansing vein and artery walls. A must have oil as it helps to reduce high blood pressure, and slows rapid heartbeat and breathing, especially that experienced following trauma or shock; might be a good oil to have on hand to help calm those who didn’t prepare. Roman Chamomile – Emergency treatment for asthma attacks. Of course, as with any type of health aid, you need to get educated as to uses, benefits, properties, and any safety issues. Don’t just grab a few essential oils and expect them to be the ultimate answer for future problems. Start familiarizing yourself with essential oils now while you have time to find out what works for you. Better yet, find a licensed aromatherapist to guide you in which oils to have in your post-SHTF survival medical kit. 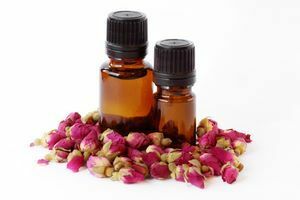 For more information on these must have essential oils, you might want to check out Best Cheap Essential Oils.